1. 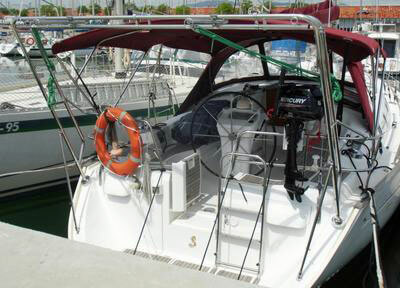 Please contact the seller directly - not Sailboat-Cruising.com. We play no part in the transaction - we've done our bit in getting the two of you together! 2. Remember 'Caveat Emptor'! Which is a Latin phrase with important legal significance - 'Let the buyer beware'! 3. Sailboat-Cruising.com must make a disclaimer at this point, in as much as this is a free service intended solely to put a seller and a potential buyer in contact. Sailboat-Cruising.com accepts no liability whatsoever in connection with this free service. 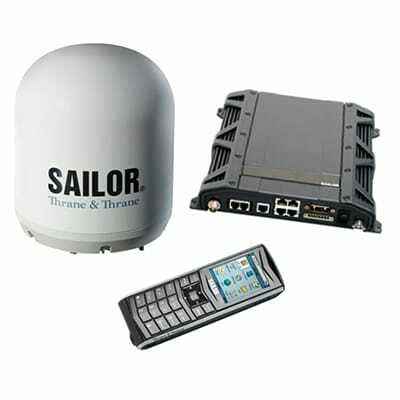 Monitor windvane in pristine condition for sale. Most of its life has been spent on the Great Lakes and as such has seen little salt and even less use. 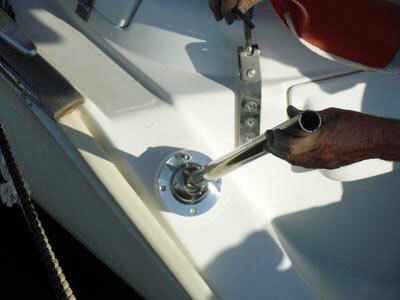 The unit is currently installed on my boat which is on the hard in in Solomons, MD at Spring Cove Marina. A new Monitor runs in the $5,550 - $6,000 range. I would like to have $3,200 for the complete unit which includes the vane assembly, mounting tubes and hardware, wheel adapter, control lines and blocks, two airvanes, spare safety tube, and of course all the manuals, etc. A local pickup nearby the East coast or along the way back to where I live in western Illinois, or we can arrange shipping. I have included a few older pictures showing the Monitor on my boat but can definitely send more. The unit is currently on my 1985 Baba 40 but on other installations, the only thing you would need are possibly new attachment tubings which are relatively inexpensive from Scanmar. Please email Steve or give him a call at 563-210-3175 with any questions or to make an offer. 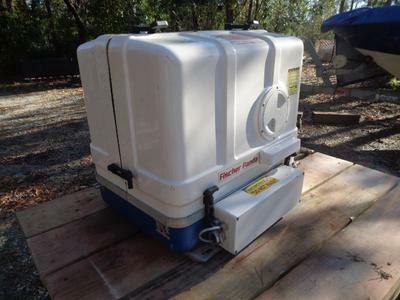 Fisher Panda Mini 8 diesel generator 8kw with full enclosure and panel. Please email Jeff for further details. 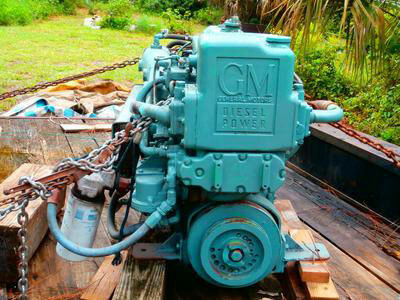 Great portable machine we used when cruising and living aboard our boat. Made Bimini, Covers, Sails and Cushions. Machine comes with case, Large Spool of Sunbrella Thread, Accessories and Extra Heavy Fly Wheel for going through thick canvas. Machine is CAST IRON, not plastic. Comes with protective box case with handle. We paid over $1,000 but will sell for $550 or best offer. 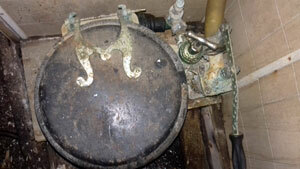 Machine is in great condition and was used very little once basic projects were completed. Saved us a ton of money! Please email the owner for further details. 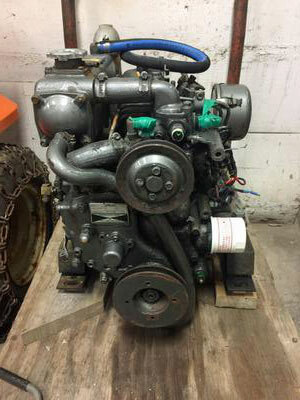 1988 Yanmar 3GM30F Diesel Boat Engine. Removed from vessel and in working order. Includes transmission and alternator which are not pictured. Pick-up in Meaford, Ontario or purchaser may arrange for shipping. Please email Laura for further details. OMC Seal P/N 0329548 for a 1978 85 hp Johnson outboard. It has never been used and still inside of package. The package is a little tattered, but the seal is in great shape. $40.00. 828-337-8679 Christina...Please text or call and leave a message. 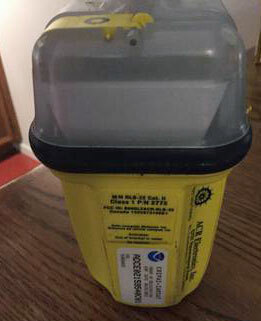 Used EPIRB 406. Sold boat to new owner that had his own. Overdue for battery/test but still working fine. Done sailing for medical reasons. All paperwork included. Please email Rick or phone 209-988-4884 for further details. Size: Large. I am 1.83m and 95kg and it fits fine! Please email Simon for further details. 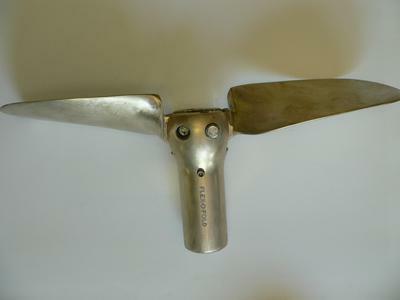 Flex-o-fold folding propeller RH 17" dia, 11" pitch, 1" shaft, 2 blade. Please email Andrew for further details. A new amazing pair of NEVER USED sailing shoes for her, size EU 37.5. Please email Francesca for further details. All are 2016/17 except for the Cuba ones, which are 2015/16. Selling all for 690 EUR (new price over 1,000 EUR). Open to reasonable offers, will also consider selling any subset of the charts. Charts are currently in Barcelona, Spain. I can arrange shipping. Please email Kolja for further details. Please email Navin for further details. I have a complete behind the mast mainsail furling system. It has an aluminum extrusion that attaches to the mast that the sail rolls up inside protected from the weather. The extrusion sections are about 7' long making the whole thing easy to ship. 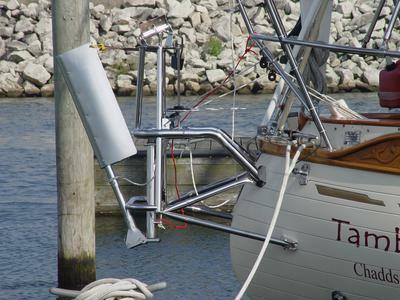 The complete system includes a mast bracket for the boom gooseneck with the proper offset to work with the furler. I have just removed it from a C&C 36. As I said it is complete, except for the original manuals. I also have the Quest brand mainsail. Quest is the West Marine brand manufactured by Quantum. The sail appears to be in excellent condition. 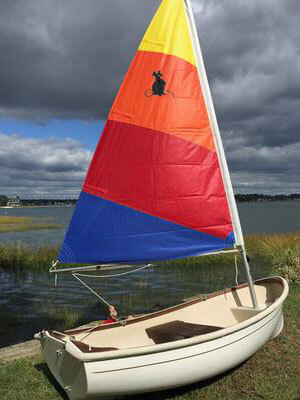 I am purchasing a standard mainsail and have chosen not to use the furling type. On a C&C 36 the luff of the main is 41'6" and the foot is 11' 8". Please email Rod Fisk for further details. 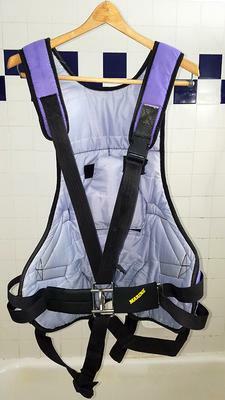 Used on a Lagoon 500 catamaran. Please email Mary Beth for further details. 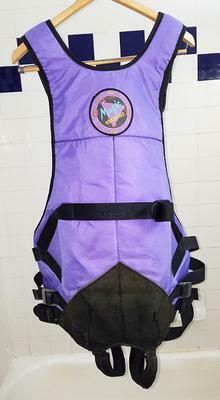 Rooster all purpose boots in net bag. Have been used for 1 year and well looked after. Tread is a bit worn but ok (see pics). Please email Joseph for further details. Used but in Great Condition, No Rips or Tears, except 1 very small 1/4 x 1/2 in part neoprene cover of spreader bar (email for photo) . Please email Bill for further details. 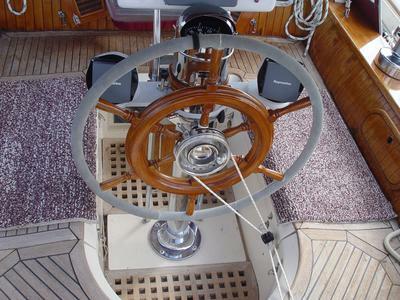 Windpilot self-steering gear for sailboat up to 50 feet, tiller or wheel. 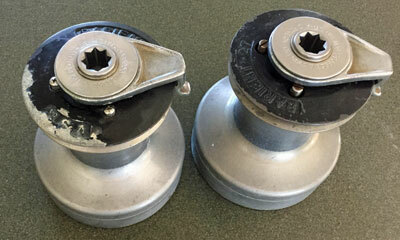 Price is €400, wheel pulley €190. Please email Tim for further details. Be safe out on cold waters. 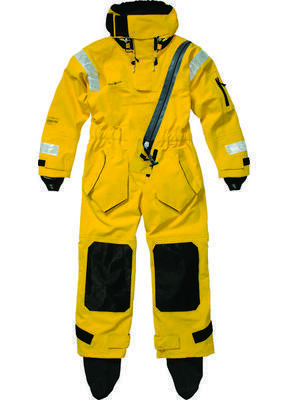 Stearns brand flotation coat with attached hood that folds into collar, many pockets. Only worn a few times. Like new condition. Size: Adult small, 36-38 in. Asking $85.00 including shipping in USA. Please email Carolyn for further details. Hand-held VHF radio in perfect working order. Brand new aerial. Comes complete with BC 166 Desk/wall charger. Hanging up my sea boots, hence sale! Please email seller for further details. This is Brand New, never been out of the box. 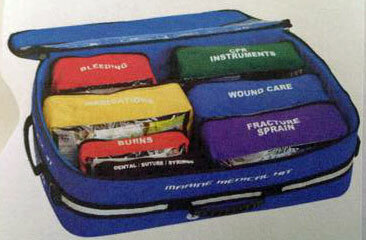 The Marine 3000 is the largest Adventure Medical kit, designed for crews more than 24 hours from shore. It is a portable hospital, with supplies to treat any kind of injury from simple scrapes and burns to serious injuries requiring trained medical personal. Please email Hugh for further details. Brand New - Never been out of the box! 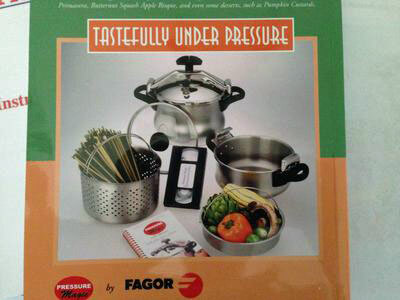 The 8/4 Quart Special Set has the 8qt base, 4qt base, interchangeable pressure lid, stainless steel steaming basket, cookbooks and dvd. This was originally purchased through the sailboat show and was never used. 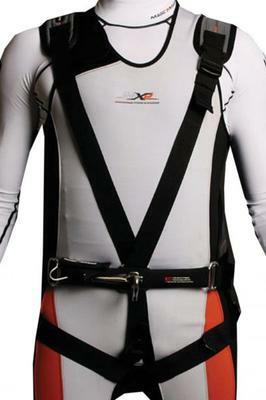 Two Magic Marine Pro Sailing Harnesses and Ronstan wetsuit. 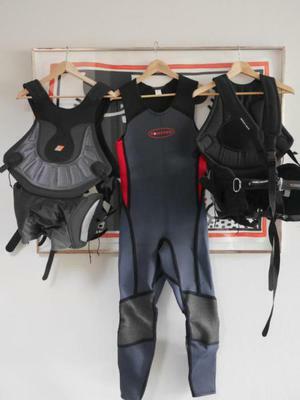 Sizes Large for wetsuit and two Extra Large harness. Please email Tove for further details. Bought these some time ago intending to use them on a boating holiday to Holland. I'm too old to contemplate such a holiday now, so they are for sale. The guides are the De Vaar Atlas 2006, a 16 1/2 inch spiral bound paperback publication in mint condition, in Dutch with 50+ pages of charts symbols & navigation marks & covers the whole of Holland. 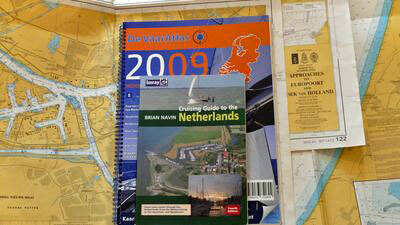 The other guide is the Imray paperback publication "Cruising Guide to the Netherlands" by Brian Navin 4th edition in English. This one is well used but in very good condition with 177 pages covering the whole of the inland waters & approaches from the sea. The charts are three "Admiralty International Chart" series, used but in good condition covering 1/132 10093 Europort part A & Hook of Holland to Rotterdam, 2/122 14610 Approaches to Europort & Hook of Holland & 3/125 14834 Approaches to Scheveningen & Ijmuiden. Todays price would be well over £100.00. Alternatively the charts & guides could be framed for interesting wall coverings. Please email Eric and make him an offer. The Yachtsman anchor is a three piece interlocking anchor that stores beautifully when not needed. The pieces interlock and assembly is simple. 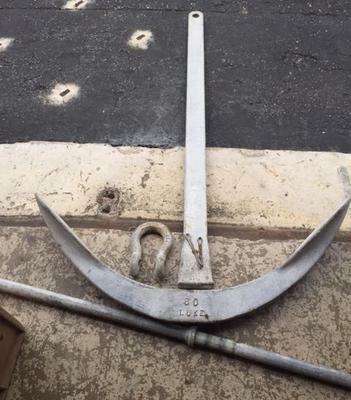 Great anchor for storms, kedging off a dock etc. Never used but in very good condition. The chain has very large links and is not rusted, only painted red. Please email Janice (in Welaka, Florida 32193) or call 386-316-6444 for further details. Two MUSTANG SURVIVAL Inflatable PDFs. Strobe light holder,safely whistle and SOLAS reflective tape. Compare to modern Lewmar 46. Perfectly good condition. Cleaned of all grease and ready to lubricate and return to service. Cosmetic condition appropriate to age which I assume to be about 35 years. Some wear as you might expect. 4 extra pawl springs included. 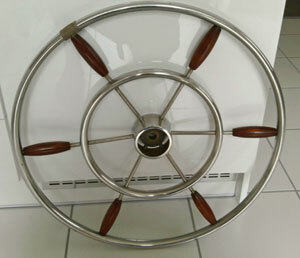 I have a traditional steering wheel for sale with teak handles which came as an extra with my 1960's Dutch motor cruiser. Going by the appearance I'm guessing it didn't get used too much. It really is well manufactured and special. Overall diameter 25 inches (63cm). Reduced for this ad to £285. Located in Milton Keynes, UK. Contact Steve on 07768 681662 or steveswg@aol.com. Size M, I am 5'7" 120 pounds, they fit great!! Worn twice, like new. Asking $40, originally $100. Perfect for laser sailing. Navionics+ 46XG Central & Western Europe Electronic Chart. Micro SD format with SD adapter and USB adapter. Bought June 2016. Will update 27th March 2017 before it travels to London. I have downloaded and updated the complete area that the chart covers (see below). You will not be able to download updates, but it will continue to function after June 2017. 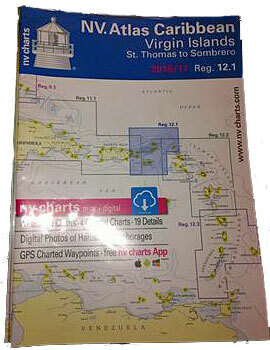 Works with Raymarine and other chart plotters - check Navionics site for compatibility. In original packaging. Plug into your plotter and it just works. Price new at least £175. Will sell for £90 inc. delivery to UK address. Area Covered: EUROPE WEST - From Holland to Algeria and from Azores to Sardinia. Iberian Peninsula, France, English Channel and Sardinia. European inland waters (French and Holland canals, Switzerland/Italian lakes, Lake Balaton, Valence, Tisza, River Rheine/Main, Berlin Lakes, Mittellandkanal, Dortmund-Ems-Kanal, Austrian Danube River). Removed in a refit. Works. Will ship with pre-paid shipping. I have a brand new Mantus 29kg Galvanised anchor. 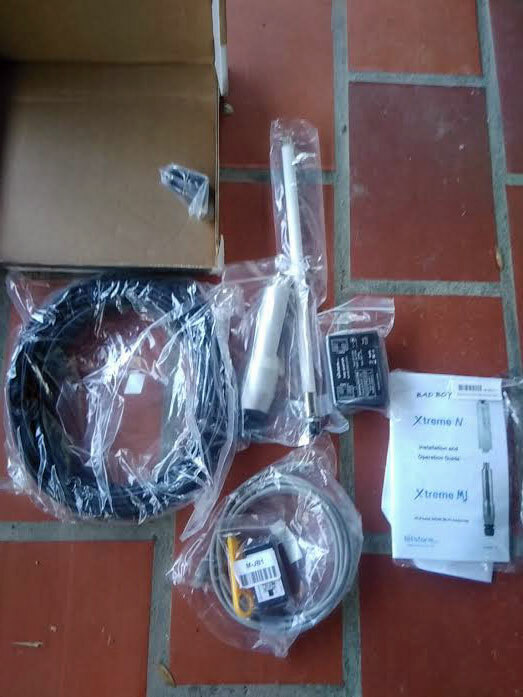 I got over excited and ordered it only to realise there is no way it will work as my primary anchor due to the design of the bow roller on my boat. I can't afford to a new custom Bow Roller so have no need for the Mantus now. I felt that the Mantus in all the tests were the best new style of modern anchor. I would be happy to organise shipping. The anchor cost me 748 Euros (I live in France), but I would be happy to let it go and have it delivered for £500 is possible. One of the useful features is that the anchor can store flat and you can simply bolt it together with six bolts. So this could be a great Storm anchor for anyone planning some Blue Water Cruising. Hope someone might find this useful. Brand new unpacked & unused Laser Radial sail made in 2012. No problem sending via post office. Wanted, GARMIN Chart UK & Ireland for Garmin 550 GPSmap 550 chart plotter. Contact Rob Boyle at royboyle@me.com if you have one to sell. 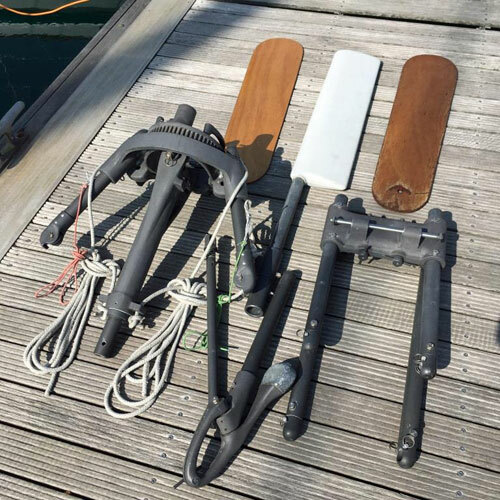 Up for sale is a one year old feathering AutoProp for sailboats. 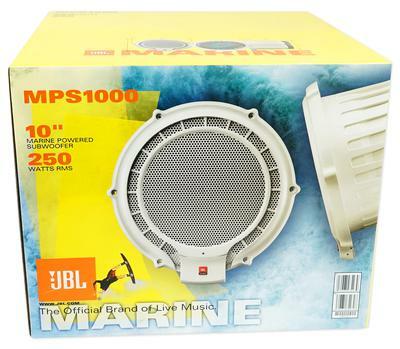 This prop is made by Bruntons and sold by AB Marine (and a few others). The model number for this prop is H5-380. 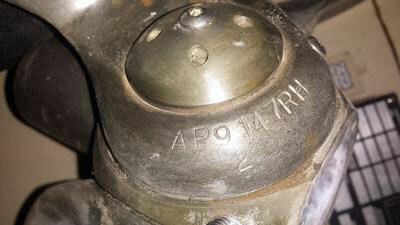 It is a 15" diameter (right hand rotation) and fits a one inch prop shaft. Pitch is fully automatic, and no adjustment is ever necessary. 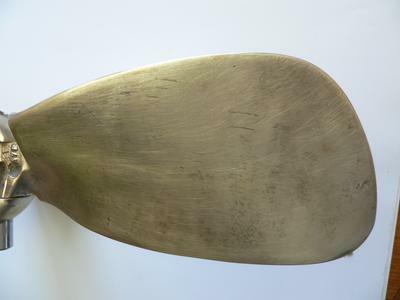 I purchased this prop new and used it for one season on my 1988 Catalina 34 sailboat. This prop was used in fresh water (Lake Erie). 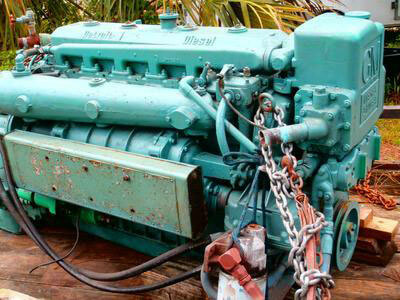 The Catalina 34 had a Universal M25XP engine rated at 23 horsepower. 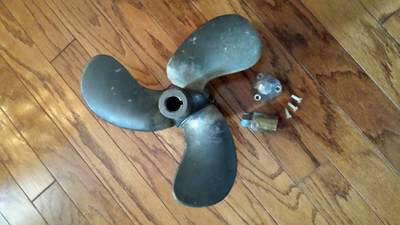 I removed this prop when I sold the boat as I was hoping to use it on the 38 foot sailboat that I was purchasing. Unfortunately, I could not. My new boat had more HP and a larger prop shaft. 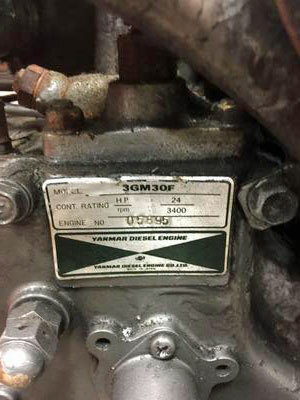 If you have a Catalina 34 with the Universal M25XP engine, this prop is a perfect fit. It would likely fit any sailboat of similar size and horsepower. Please note: I paid $3600 for this prop, and prices have gone up a bit from there. My price: $1650. I will ship this prop to any Continental USA location for free. Built by Sterling Boat Works, Moscow, PA.
Sterling Boatworks made one of the prettiest small boats around. 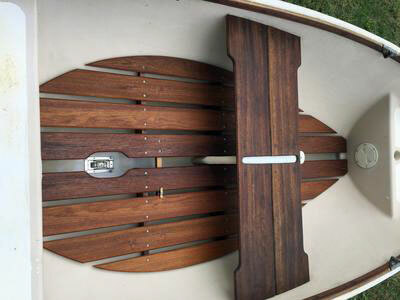 She is made of fiberglass with teak fittings and trim. She has a Marconi cat rig and can carry 4 people with her relatively wide beam. She was conceived for easy rowing, comfortable sailing or motoring - the kind of boat in which you tour a harbor. Draft: 2'11" board down, 8" board up. 2007 Mercury 3.5 HP. All is in excellent condition. $4,500.00 Located on north shore of Long Island, NY. 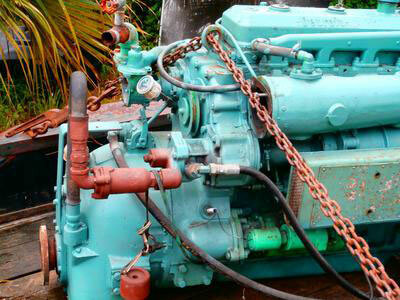 671 Detroit Diesel Engine with 2:1 transmission for sale. Engine is raw water cooled & runs good. Unused still in original box. Contact Mrs.M.Knott by email at maureen.knott@ntlworld.com. Sails were custom made by Leitch McBride on Vancouver Island. The mainsail is 228 square feet and the Mizzen is 74 square feet. Sails are of high quality and as new condition. Included is the main mast that is made of fiberglass; it could do with a polish or paint. The booms and mizzen masts are made of wood and it may be cheaper to make them yourself instead of paying for the shipping. 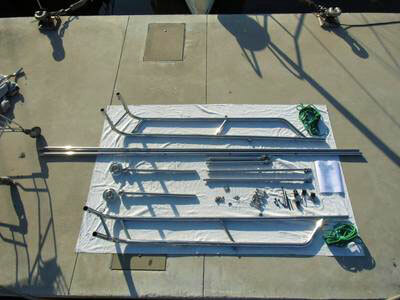 Included is all stainless steel fittings for the masts. Sails cost $4,500 new. will sell all for $1,800 Canadian Dollars. This is a High end Yachting jacket that would cost £400 to buy new. 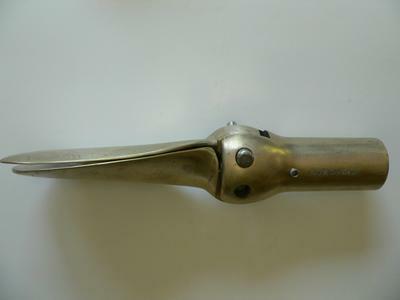 Para-Tech Sea Anchor, 18ft dia. 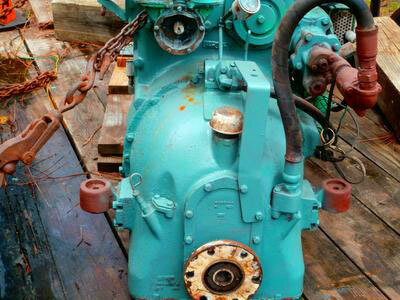 Suitable for vessel 35ft to 48ft up to 17.8 tons. Including: Deployable Storage Bag. Heavy Duty Swivel and Shackle, Float Line and Instruction Manual – NEVER USED (thankfully). 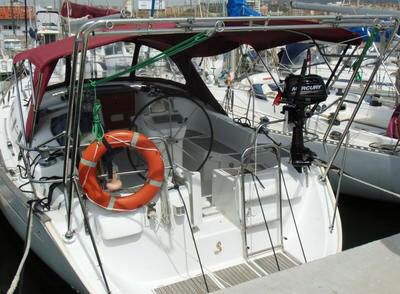 Aries windvane self-steering system complete with deck fittings and mounting hardware. All in good condition but mechanism is stiff and requires a service (shown on YouTube). Cheap no power steering system built to last. Please email Chris for further details. Henry LLoyd Foul Weather Freedom Jacket in size M, Black (with green accents). Never worn, never used, purchased to try on, didn't fit, and realized I could not return the item because I bought it on sale. Price negotiable starting at $150. (25% off market price). Please email Bradley for further details. 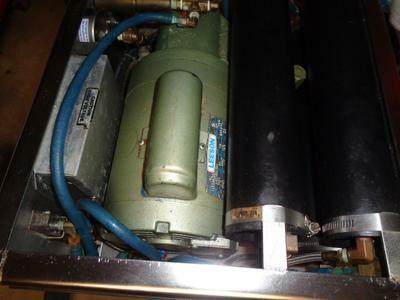 Stainless steel Galley Maid 300 gpd watermaker. 120 or 240 volt very compact. 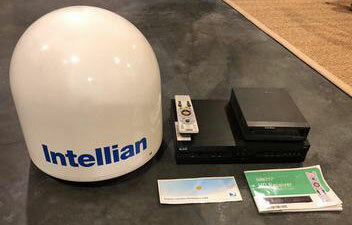 Selling an Intellian i2 US System w/ DIRECTV HD Receiver. Includes Intellian system, DIRECTV box, remote, and manuals. Condition is used but well cared for and fully functional. Please email Cora for further details. 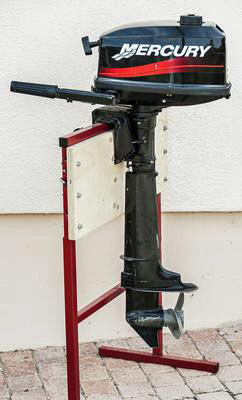 Brand new Minnikota trolling 80lb thrust/62-shaft Riptide motor still in the box. My boat was stolen before I could use it. Now I no longer work and I need the money and Bass Pro Shop will not take it back. I paid $1400 but will take $800. Contact me at 407 920 4839. I have unused 500 feet of unused beautiful 3/4 inch black nylon dock or anchor line still on the original wooden spool. Please email Dave for further details. Nearly new Pacific Blue Sunbrella with PTFE vinyl screen reinforcement at mast and aft end-zippered front w/flap, velcro collar. On my boat only two months when My Frers 33 was dis-masted. Please email Len for further details. Gill Women's Trousers Key West line with drop-seat and side zip. Style OS5D. Size 10, gray. These trousers have never been used. Original tags still attached. Adjustable straps for perfect fit. I can send photos but do not know how to post them here. Please email Jane for further details. Musto Ocean Gore-Tex Drysuit size Large - brand new with tags - never used. Was given as a gift - retails close to $2k new. Please email Rick for further details. Harken Bosun's Chair. Price range online is $169 to $207 plus shipping. The chair is new. My price is $100 plus any shipping, firm. Perko Switch. Used switch, works fine. $20.00 plus any shipping. Any attached wire is free. Foam-Filled Seat Backs. Four seat backs available with snap straps. Price $20.00 plus any shipping. Two Nicro Solar Vents. New in the box with hardware. $225.00 for both or $125.00 each, plus any shipping. New Jabsco Pump. 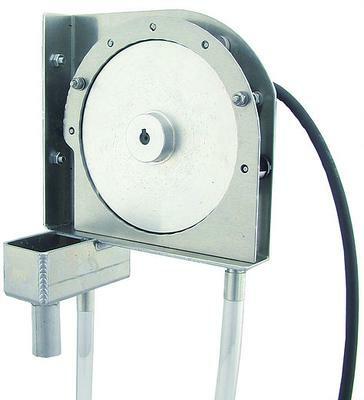 Jabsco Pump usually used as bilge pump. In the box, never used. Price $125 plus any freight. 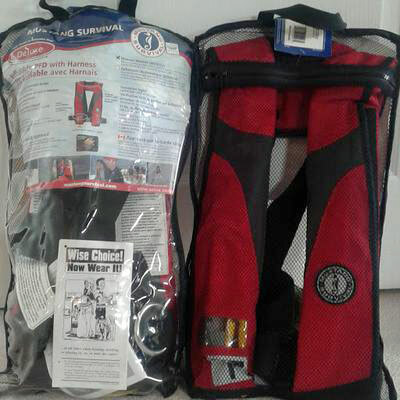 Two Auto-Inflate Life Jackets, Rated Coastal. Jackets new. New price was $299.00 for both. My price $175.00 for both , or $90.00 each, plus any shipping. Marine Toilet. New toilet, still in box. My cost $135.00. Sell for $80.00 plus any shipping. 35 LBS CQR Anchor. Used anchor from 41-ft sailboat. In good condition. My price is $99.00. Two Large Taylormade Fenders. One new and one nearly new. $75.00 for both, plus any shipping. 13lbs Anchor with 8ft Chain. 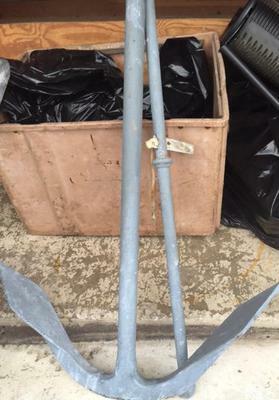 Used anchor; $25.00. 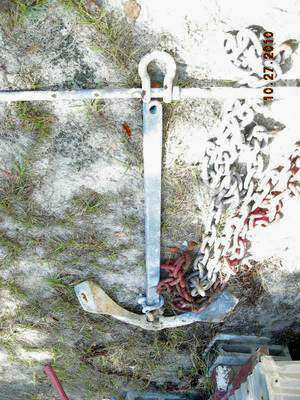 Anchor Location Float with Line and Shackle. New, $10.00. Garmin GPS Map 76. Preloaded with Chesapeake Bay and beyond. Includes dash mount and cable. Runs on two AA batteries. Has seen almost no use. Like new, $125.00 plus any shipping. Not refurbished. Barient # 27 Self-Tailing Winch. Self-tailing winch nearly new. $495.00 plus any shipping. Please email George or call 530-219-7579 for further details. Bilge Lickers are built with precision crafted aluminum & stainless steel components, and use a specialized tubing system that is able to pick up roughly 20 gallons* of oil in a single day. 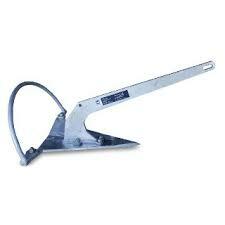 Bilge Lickers are built to last, and are capable of enduring the most difficult of applications. * 20 gallons of oil per day is an estimate based on a worst-case scenario. The pick-up rate of all Bilge Lickers is determined by the severity of the oil contamination; more oil in the bilge water will equate to greater pick-up rates. Please email Justin for further details. 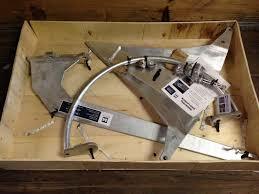 Cape Horn Self-Steering Wind Vane Gear - NEW IN THE BOX! Please email Walter for further details. 2. Cruising the Coral Coast, by Alan Lucas (8th Edition). 3. 100 Magic Miles of the Great Barrier Reef, by David Colfelt. Changed our rigging to asymmetric spinnaker and a roller furled jib. The following sails are for sale, just send us a offer. ​All made by Doyle Sails. Please email Bob Craine with questions or offers. Winslow 6OSLO 6 person life raft in a soft valaise. Was stored inside the boat so valaise is in perfect condition. The raft has never been deployed but is due for repack/re-certification. Price reduced to $2750 $1200 plus shipping. We are willing to meet you in North Florida if you want to take it to the Winslow factory and watch them deploy it as part of the re-certification! Please email Anna or call 843-986-8786 for further details. Fully battened, brand new, never used and still in its bag. It cost €1,600 but I'm asking €1,200. Please email Trish for further details. 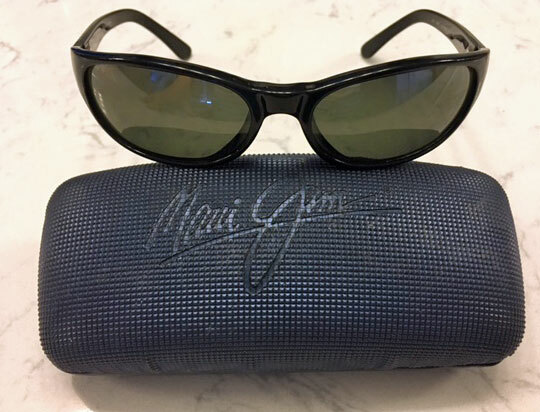 Used, but like-new Maui Jim polarized sunglasses (with darkest grey lens—perfect for boating). $100 OBO - new they cost $200. Please email Leslie for further details. Leslie lives in Las Vegas and is happy to ship them. Please email Rosie (in Issaquah, WA, USA) or call 386-316-6444 for pics and further details. The davits were new in 2010. They have been used since then and have a few scratches and a small amount of rust but are working well. 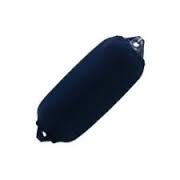 There is also a remote control and standoffs for dinghy stern so that dinghy can be held firmly in place without tie downs and will still drain. They are located in Harpswell Maine. The mounting plate is not included but may be purchased from Cooney Marine. New price >$5,000.00. Asking $2,500. Ericson 35 mainsail, recently laundered, has crest, no tears. Asking $500. 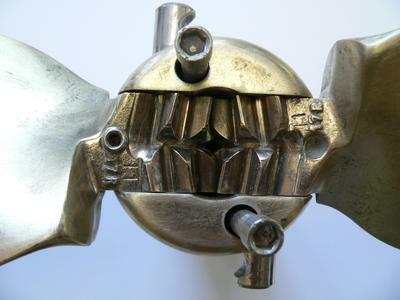 Barlow 26 winch in working order, polished stainless steel, Asking $175. 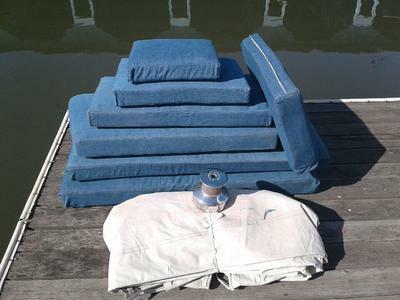 Newly-covered denim galley cushions. Asking $400. 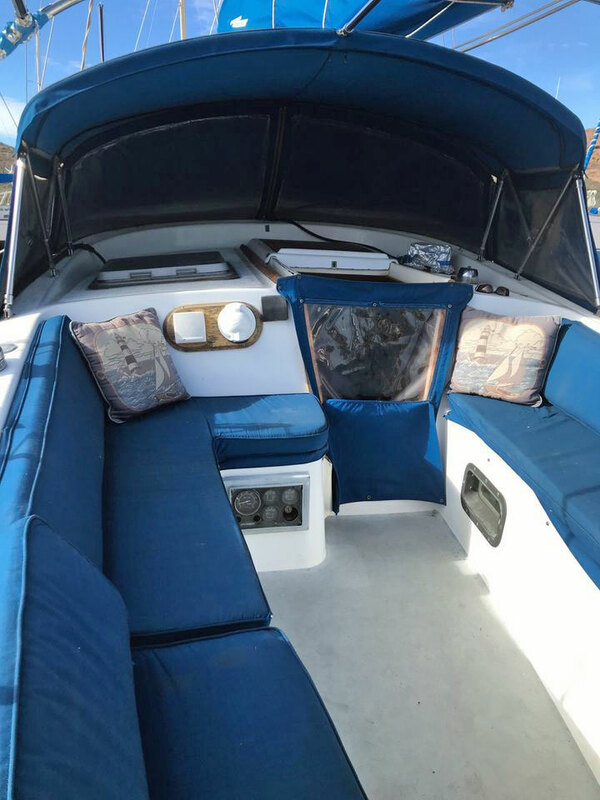 Heavy vinyl lee cloth fits rear of 10-11' beam sailboat with double life lines. Asking $200. 300 gallon, shaped to hull, galvanised water tanks (2No) and a rectangular 200 gallon tank. All are galvanised. Still in situ but easily removed. BMC 5.1 litre, straight six diesel, circa 1965. Working with gearbox, in situ aboard a MFV. 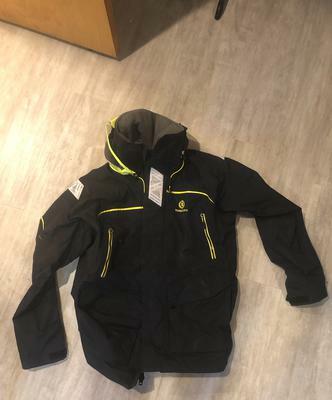 Musto BR2 Offshore Jacket and Salopettes for sale. Only used once from brand new. Perfect condition. Can post or collection if in Central Scotland. Henri Lloyd ladies size S Ocean sailing gear - comprising jacket, salopettes and sailing boots size 6. 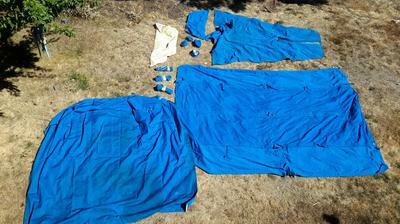 Although 10 years old these items have been worn only on two days and have been carefully stored. They are in excellent condition. Price is £275 and if not collected the postage would be £25. Matching pair of Helly Hanson offshore sailing jackets. Male jacket and large female jacket size 12. Can be sold as a pair or individually. 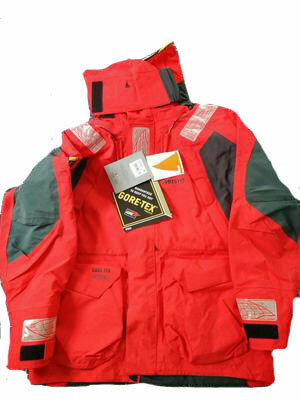 The coats have hardly been worn as our boating was done almost entirely on European waterways. The price is £75 each or £120 for the pair. 3 Anchors were used on our 41' Morgan and dinghy. Fisherman I think is 45lbs. Sailing days are over, sadly husband no longer able to get around nor can I get him to remember much info about anchors. You are welcome to all 3 for $150. Just come to Fort Lauderdale, Florida to get them! 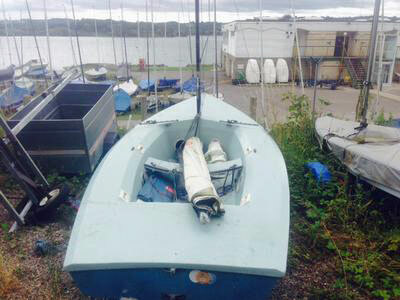 'The Best Rowing/Sailing Dinghy in the World!' 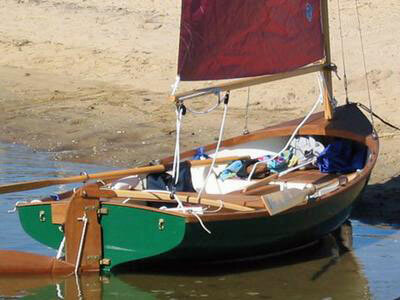 8 ft, rarely used, excellent condition, rainbow sail, self-bailer, new teak floorboards. 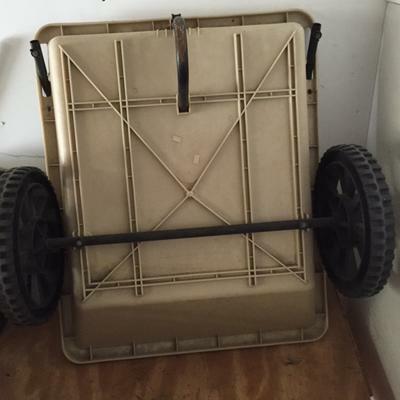 Canvas rail shows wear but would be classified as good condition. More photos available. 2-stroke. Complete with stand if required. Excellent condition. I'm selling it because it was the main propulsive power that was on my Jouet 24 when I bought it. But I always felt it was a wee bit to small for the job. So I have upgraded to an 8hp, and this engine is now redundant. No idea what price to ask. Any offers? Has been looked after. Excellent condition, no damage or wear. 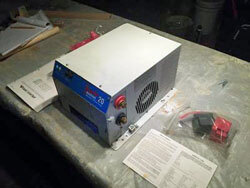 I have a Heart Interface Combi Inverter Charger Freedom Marine 20. Almost 100% sure that this has never been used. Bought a house and this was in the garage, in the original box. Take a look at the picture. There isn't a scratch on the thing and the wiring has never been hooked up, manual is still there, and terminal covers are still in the factory plastic wrap. Message me if you want additional photos, or have questions... don't know much about any of the technical details of the item, but I will do my best to answer. I have everything from a VC 24 sloop except the hull. 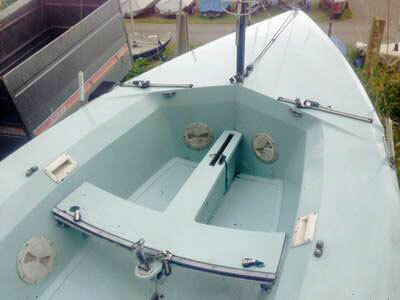 Beautiful spruce mast, boom, many sails, spinnaker like new, Autohelm still in the box, all hardware and fittings, including railings, pulpit and lifelines etc. All in excellent condition. Stored inside for many years. Any reasonable offer on any or all parts will be considered. These are new and perfect condition fender covers in their original packaging. We love this brand and have always used them as they are really nice quality, double thickness and they last a long time. I can recommend them fully; they are just too small for our fenders and we made a mistake in our ordering! I HAVE NINE AVAILABLE TO SELL!!!! The price is £20 each plus P&P or happy to do a deal for more than one sold at one time! PayPal only, and thank you very much for looking! Any questions feel free to ask me! For more info read the blurb from Fenderfits website. 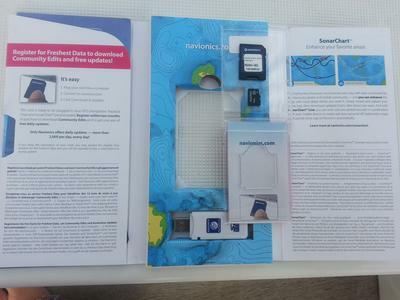 SD card for chartplotter. Year 2012. EUROPE WEST - From Holland to Algeria and from Azores to Sardinia. Iberian Peninsula, France, English Channel and Sardinia. European inland waters (French and Holland canals, Switzerland/Italian lakes, Lake Balaton, Valence, Tisza, River Rheine/Main, Berlin Lakes, Mittellandkanal, Dortmund-Ems-Kanal, Austrian Danube River). 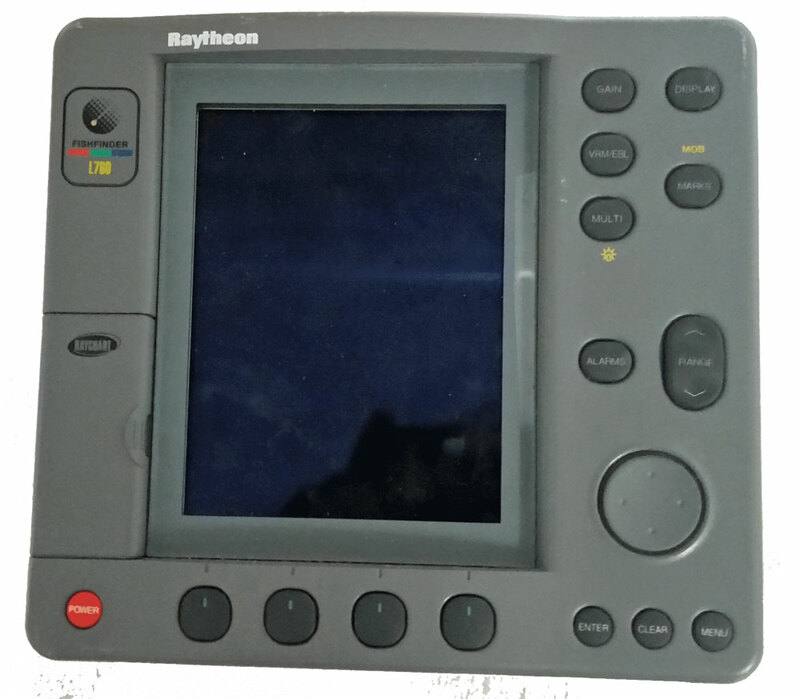 Only choose CF for Pre-2012 Raymarine plotters. The vectorized XL9 charts are developed using the Navionics exclusive full Seamless Technology which provides clearly legible charts without clutter, holes or discontinuities at every zoom level. With the same great details of the current XL3 charts at up to 16 zoom levels, XL9 charts offer a wealth of information on navaids, tide and currents, port services - details greatly appreciated by sports fishermen and navigators alike. XL9 cartography is available on preprogrammed generic SD (Secure Digital) or CF (Compact Flash) cartridges that are readily available with expandable memory for future developments. Navionics charts are compatible with leading chartplotters such as Raymarine, Furuno, Lowrance, Humminbird, Geonav, Eagle, Northstar and many PC based navigation software. The plug-and-play feature of the charts eliminates the need for consumers to download CDs or unlock codes. XL9 charts are easy-to-use and provide better value added, by covering a greater area for a reduced cost. Take all for just $400! A 1941 Husun Sextant by Henry Hughes and Sons in a beautifully restored mahogany box, including a complete set of Air Navigation Tables. RRP: £500+ Looking for £300. This is not junk or worn-out. Like new, looked after and professionally cleaned and kept vacuum sealed when not in use. 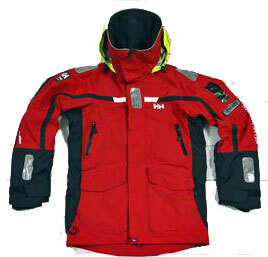 1 X HellyHansen offshore jacket. White/Blue Large (MENS 54-56). HELLY HANSEN'S BEST SELLING WATER RESISTANT SAILING JACKET – Euro standard. 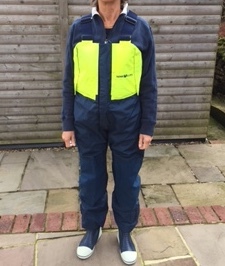 1 x Musto Yachting Sleeve-less (Dungarees) Trousers. 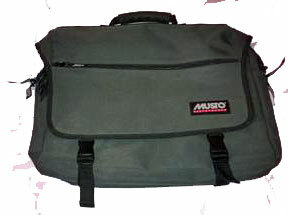 Polyester Fleece Lining, Acrylic coated nylon outer shell. Navy/Red. Size XL. 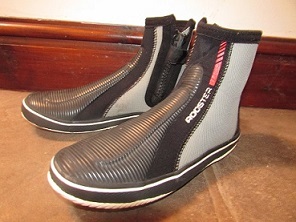 1 x size 8 cruising boots. 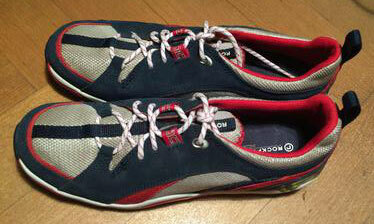 Plastimo Navy blue/white natural rubber. 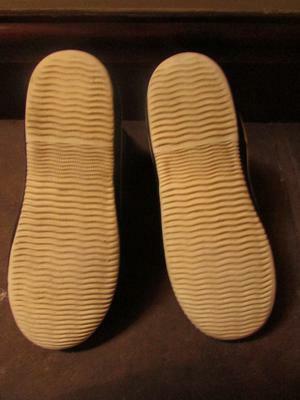 Non-slip razor cut rubber outsole with drainage channels. Removable footbed. 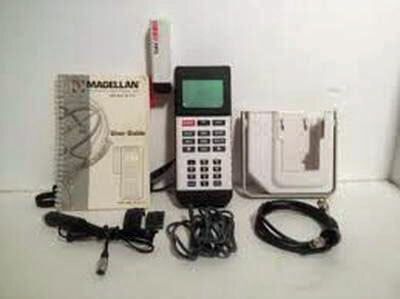 1 x Magellan GPS Nav DLZ-10. Complete with mounting bracket. Ideal as stand alone or cockpit use. 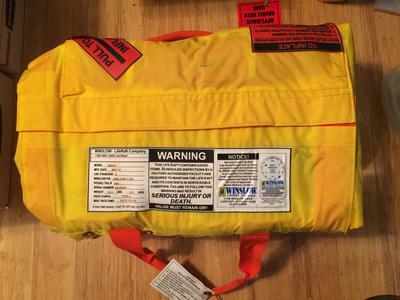 6 x Atlantic Class1 life jackets. 1 x Harken ¾ sailing gloves. 1 x Laser World full finger gloves. Together with other small items, waterproof torch, diving goggles, 2 pairs of flippers and a grab bag. Stainless steel arch, practically new, under warranty, made in 316 stainless steel and polished to best quality. To be delivered in its original packaging with manual instructions for the installation. 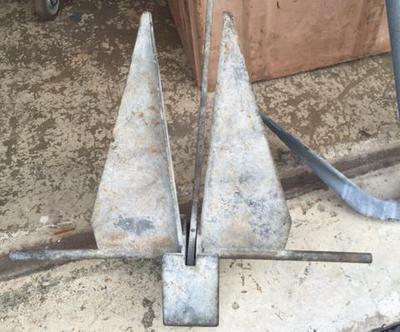 Purchased to be used as a davit. I sell it complete with pulleys, ropes, cleats, shackles etc, all in 316 stainless steel. Excellent in its finish, it is solidly constructed with the double arch reinforced main tube of 316 stainless steel, 35mm diameter, strongly attached to it through their heads made from a block of stainless steel 316. 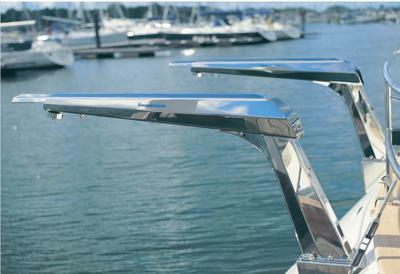 Its buttresses of side mounting made of stainless steel 316 that are anchored strongly in the balcony of the stern and/or deck, complete another set of struts that anchor in the transom through a bases-rectangular luminaires. This gantry is one of the only ones on the market that allows the passage of cables through the inside of the tube. It is totally aimed at the integration of solar panels, wind generator, radar, antennas, and a wide range of accessories (not included). Perfectly adaptable to boats ranged from 30 to 45 feet. 1. Adjustment of the height from 1800mm to 2400mm. 2. Adjustment of the width from 1500mm to 3000mm. On Sale for €1,950. The transport is at the buyer's expense. Complete set of canvas covers for Yamaha 30. $100 extra for mainsail cover. I have a brand new 'Bad Boy Xtreme MJ' Wifi Signal Enhancer (It's brand new, and still in its box) that I would like to sell. Contact me (Nick Forsberg) at nickstlucia@gmail.com or on +1758 4843115. Boxed, as new and unused since the 1970s. New price £650 (approx $1,000), so please make me a sensible offer. 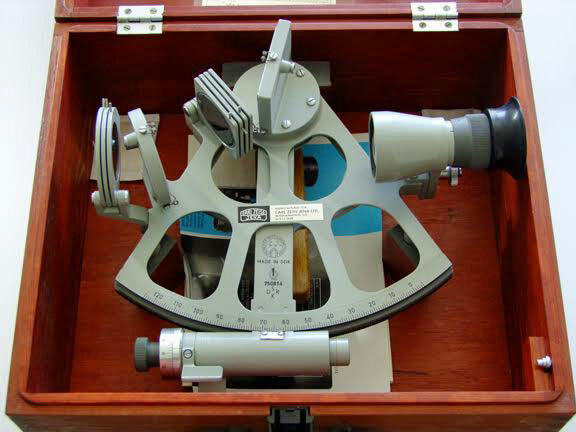 Marine Sight Reduction Tables NP401 volumes 2, 3 and 4 are included.